It was the place they stored the junk no one wanted anymore: discarded toys, baby clothes, and ancient secrets from forgotten generations. But when contagion turns Wesley Harding’s world insane, and horror enters his home, the attic is the last place left to hide. 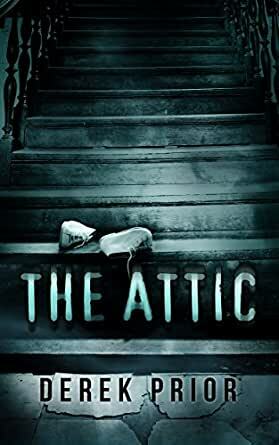 The Zombie apocalypse is upon us and one nine-year-old boy, Wesley Harding, watches his mother die, his father turn, and is left alone in a dark attic to fend for himself. This is a short story that is unique in a way. It is written from the view of a nine-year-old and begs the question: if you were nine and had Zombies downstairs what would you do? 4.0 out of 5 starsZombie Lover + Whovian WIN! Holy TARDIS of Gallifrey, Doctor! I've never read such a short zombie story before, but this was fantastic. Even if it DIDN'T include Whovianisms! The ending was not what I was expecting at all, and I really enjoyed the whole thing over all. Interesting change of pace from D.P.Prior ( I'm sure that is why he wrote as Derek ). It still delves into fantasy, just in a more modern way. As you can tell from this excellent story his mind and talent is vast and entertaining. This short story is suspenseful and thought provoking allowing you to conclude the ending on your own. The zombie story... it's a classic, but it sure does get old after a hundred stories. Prior on the other hand has taken the classic tale and portrayed it in a new light, from a totally different perspective with a haunting twist.